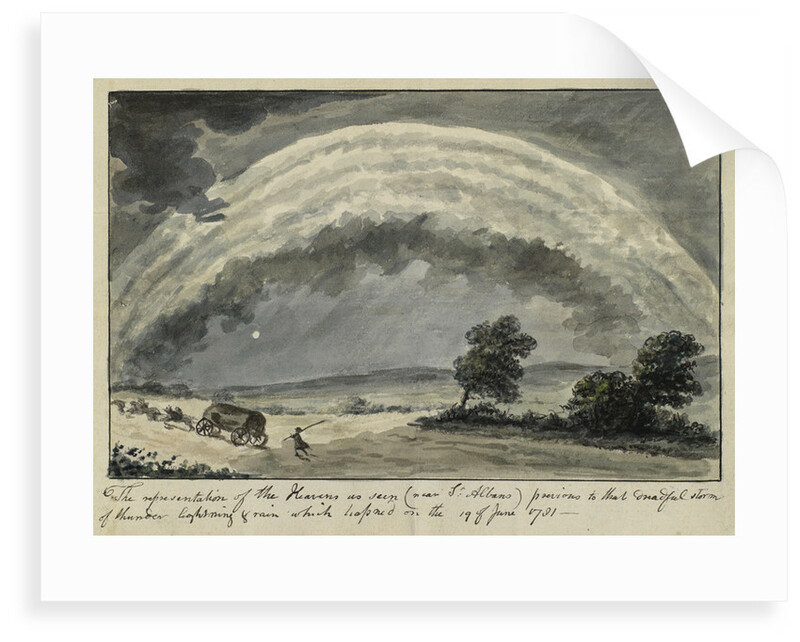 Illustration to accompany Michael Lort's letter on the effects of a thunderstorm, showing a broad monochrome arch in the clouds above a landscape of road and trees. A horse-drawn cart and a foot traveller can be seen on the road. 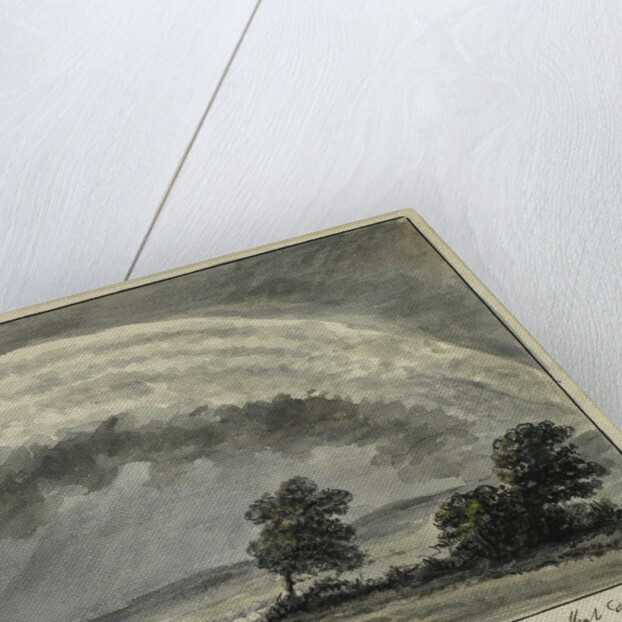 Inscribed below: "The representation of the Heavens as seen (nr St Albans) previous to that dreadful storm of thunder lightning & rain which hapned on the 19 of June 1781". Not signed. 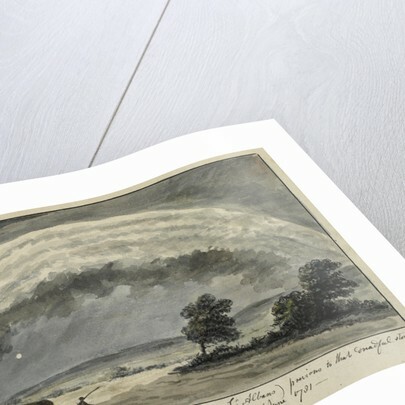 The painting was shown to Fellows at a meeting of the Royal Society on 8 November 1781.